Pros: Modern design. Great value gaming laptop. 1080p Full HD screen. Good connectivity options. Cons: Bulky and heavy. Sub-par battery life. 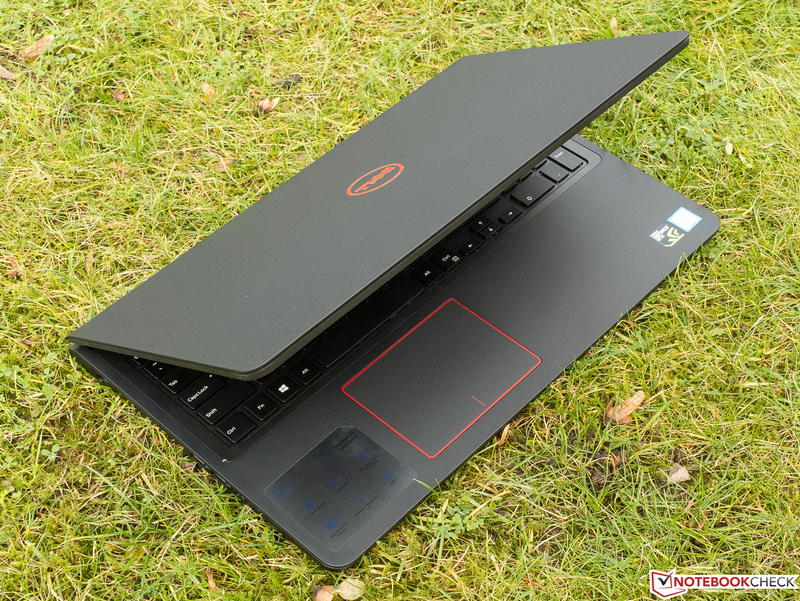 The Dell Inspiron 15, 7559 series of laptops is surprisingly good for users looking for a budget gaming laptop. It comes in 2 main processor models namely the Intel Core i5 and Core i7, each with slightly different specifications in terms of memory and storage. Each of these model comes with an option for a 4K Ultra High-Definition (UHD) touchscreen display, with a maximum resolution of 3840x2160 pixels as well. 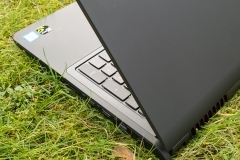 The laptop is targeted towards gamers and professional business users. It has excellent speed and a proven processor to get work done quickly. The large screen is ideal for watching videos and playing games and the matte black finish on the outside gives the laptop a great appearance. 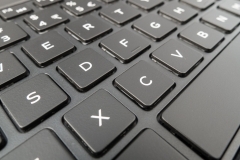 The keyboard has an excellent response time, and lights up in the dark to let you see what you’re typing. 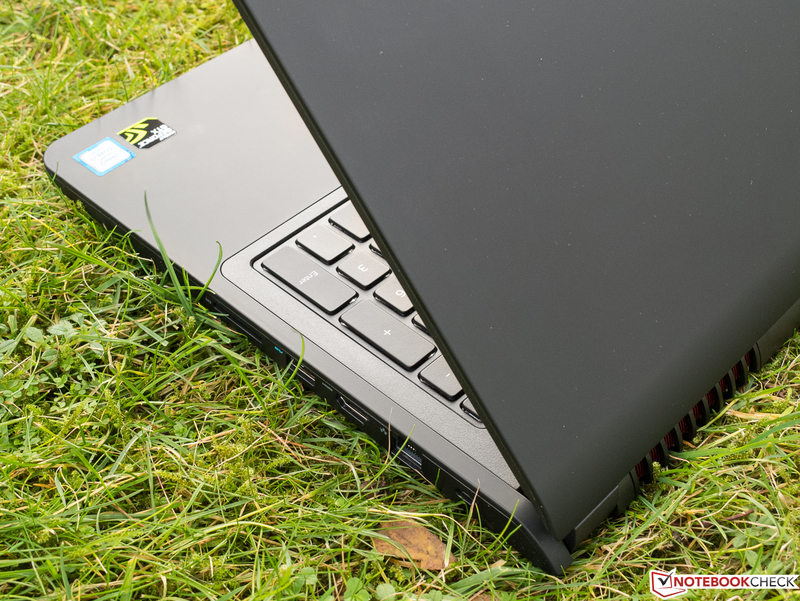 In this review we will cover everything this laptop can do (specifically looking at the Dell Inspiron i7559-2512BLK), and if there are any alternatives that can beat it. 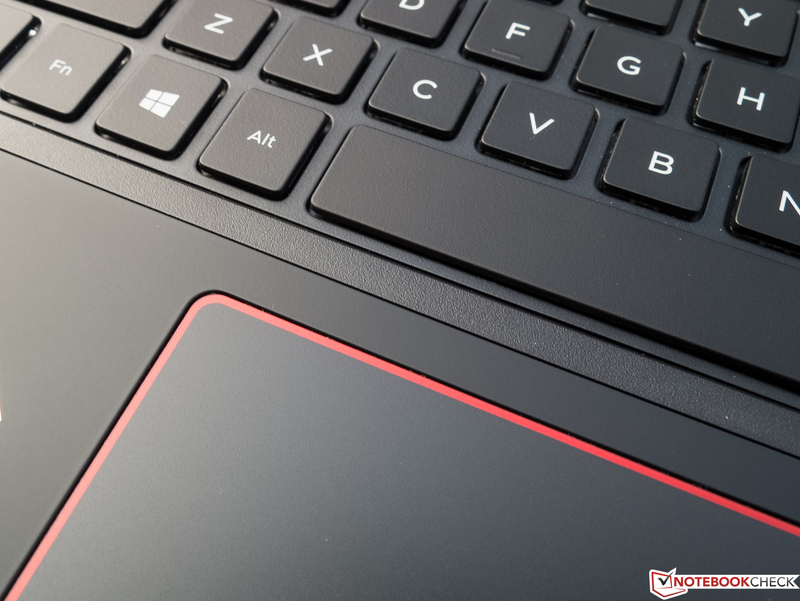 As far as design is concerned, the black plastic chassis with red elements (Matte Black featuring Red) around the logo and trackpad will appeal to gaming enthusiasts. Some may complain that the design is plain and simple, but nonetheless we think it is elegant and at the same time the body feels quite sturdy. 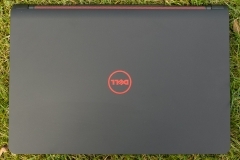 Although the gray color model (Matte Black featuring Gray) has gray accents around the Dell logo and on the trackpad, it still has red accents on the speaker grilles, heatsink fins and the rubber feet. The palm rest has a soft-touch finish and the bezel around the screen is almost non-existent. One really handy feature is the presence of the maintenance hatch which makes upgrading the laptop very easy. 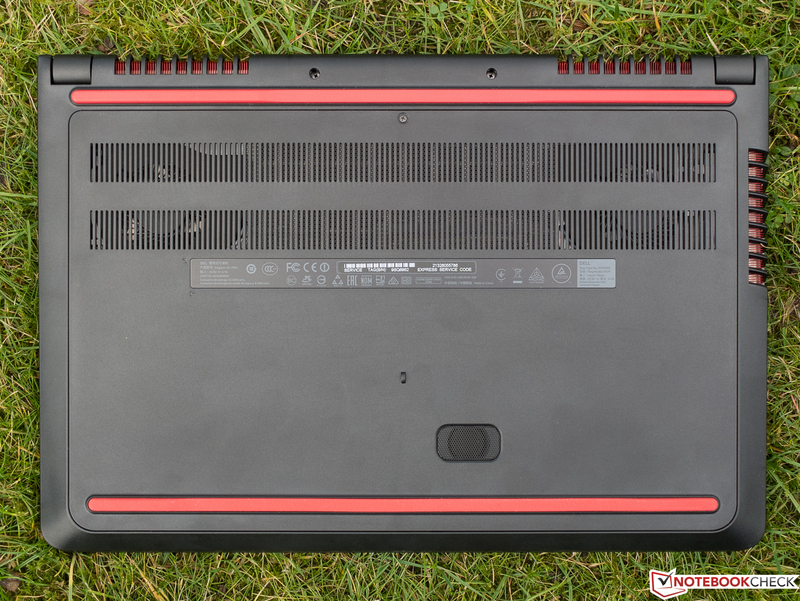 The bottom panel of the laptop can be easily removed by undoing just one screw exposing the battery, HDD, wi-fi module, memory slots and the SSD. 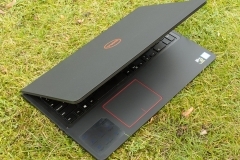 The Dell 7559 has three sensibly designed fan exhausts - two of them are located at the back and one on the left side. 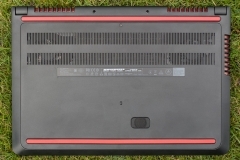 Despite the absence of metal, the laptop is on the heavier side weighing at about 12 pounds and measuring 15.08 x 15.08 x 10.43 inches, making it very inconvenient to carry around. 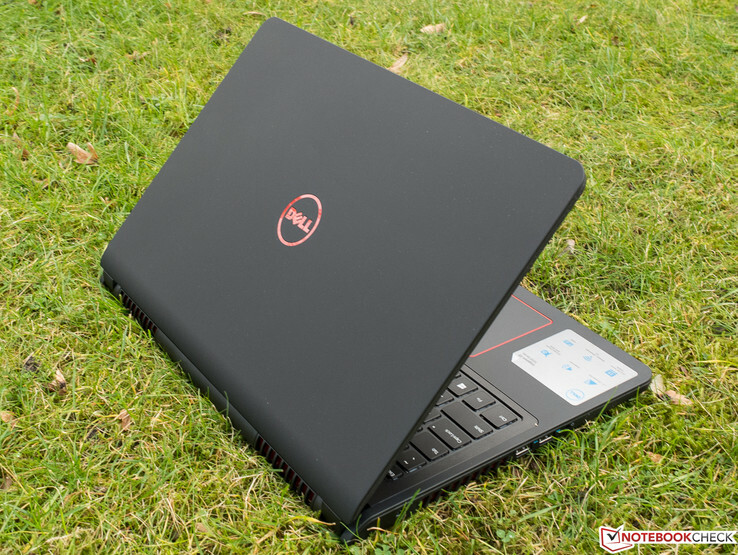 Performance - The Dell Inspiron i7559-2512BLK features the 6th generation Intel Core i7-6700HQ based on Intel’s current Skylake generation. It runs on four cores and offers excellent speed clocked at 2.6GHz and can reach up to 3.1 GHz (3.3 GHz for two active cores) via Turbo Boost. The processor supports the so-called Hyper-Threading technology that emulates one virtual core for each physical, and thus establishes a total of 8 threads. In contrast, the Dell Inspiron i7559-12623BLK features an Intel Core i5-6300HQ 2.3 GHz processor. Both processors are actually quite similar. However, the two things that set the processors apart are the Hyper-Threading feature, which is absent in the Core i5-6300HQ and the clock speeds. When it comes to raw performance, the Core i7 has an edge over the Core i5. Some benchmark tests indicate around 30-40% better performance and this might be solely based on the CPU clock speed and the Hyper-Threading feature. However, when it comes to gaming performance both chips perform equally well. So what does all this mean? In short, if you are going to run processor intensive applications such as graphics design/video editing then you should consider the Core i7 model. Otherwise, if you’ll mainly be playing games, then don’t spend the extra money. Just get the Core i5 model instead. Needless to say, both processors are capable of running your everyday tasks as well. Additionally, the laptop includes the latest version of Windows 10, to give you extra performance and features. Storage & Memory - There are two memory (RAM) slots present in the laptop. In the i7559-2512BLK model, there is an 8GB memory module that occupies one of the slots for storing memory. The other slot is completely free, allowing you to increase the memory up to 16GB for better multi-tasking capability. This way you’ll be able to enjoy gaming and maximize the laptop to it’s full potential. Alternately, you can opt for any of the other models compared above that come with 16GB memory already installed. Also, thanks to the hybrid storage of 1TB HDD and 8GB Solid-State drive (SSD), the laptop has a faster boot time, as compared to similar laptops in its class. You can launch applications faster, and access all of your documents quickly. SSD can pull your data quicker and easier than other types of drives. Maps, photos and any documents you store on the laptop are easy to load and quickly retrieved. Please be aware that hybrid drives appear as a single drive to your operating system and although they are not as quick as a standalone SSD, they are much faster than most standard HDDs. 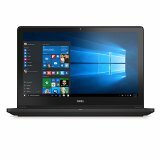 Display, Graphics, & Sound - The Dell Inspiron i7559-2512BLK features a large 15.6 Inch FHD (1920x1080 pixels) display. The anti-glare IPS wide angle glossy display is ideal for playing games. The display is bright, crisp and clear. It is sufficient for all indoor scenarios and only the display in Acer Aspire V17 (VN7-791G-792A) is noticeably brighter within the comparison group. The colors seems to be a bit off however, and when compared to a professional workstation monitor like the LG 32MP58HQ-P 32 Inch IPS monitor, the sharpness is not quite the same. For gaming though, it works well and there is minimum to no ghosting, If you really wanted, the laptop includes an HDMI out, so that you can output video to a separate monitor. 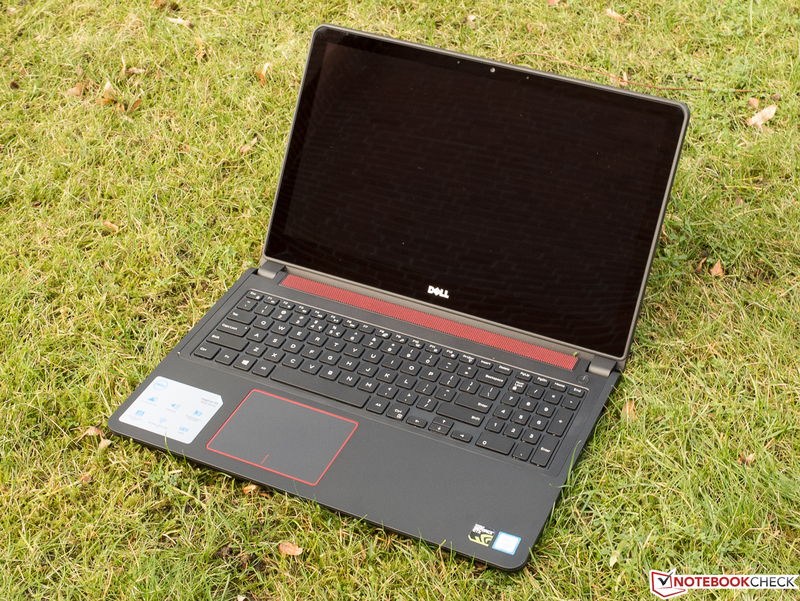 The Dell Inspiron 15, 7559 series comes with the 4GB version of NVIDIA GeForce GTX 960M, which is considered to be a budget-friendly graphics card. Once the laptop is set up, playing games on this laptop is fun and they all look quite good. Dark Souls 3, Dota 2, Starcraft 2, Counter-Strike: GO, Just Cause 3, Half-Life 2, and Fallout 4 run flawlessly at high settings. Except for some very demanding games, the 960M can manage smooth gameplay in all current games with high to maximum settings, as long as you do not use resolutions higher than Full HD (1920x1080). You could probably manage 50+ fps (frames per second) if you turn things down to medium or below. Overall we think the performance is somewhat mediocre, but it is still perfectly playable. By contrast, a NVIDIA GeForce GTX 970M would definitely be a huge step up, but most laptops like the ASUS Republic of Gamers G751JT-WH71 with that graphics card are considerably more expensive. The audio quality on the 7559 is pretty average at best. You could use the pre-installed Waves MaxxAudio Pro program to improve the sound quality. The laptop does have a subwoofer, however we think the bass response is lacklustre. You're better off using your own headphones/speakers like the Beats Solo2 Wireless On-Ear headphone. 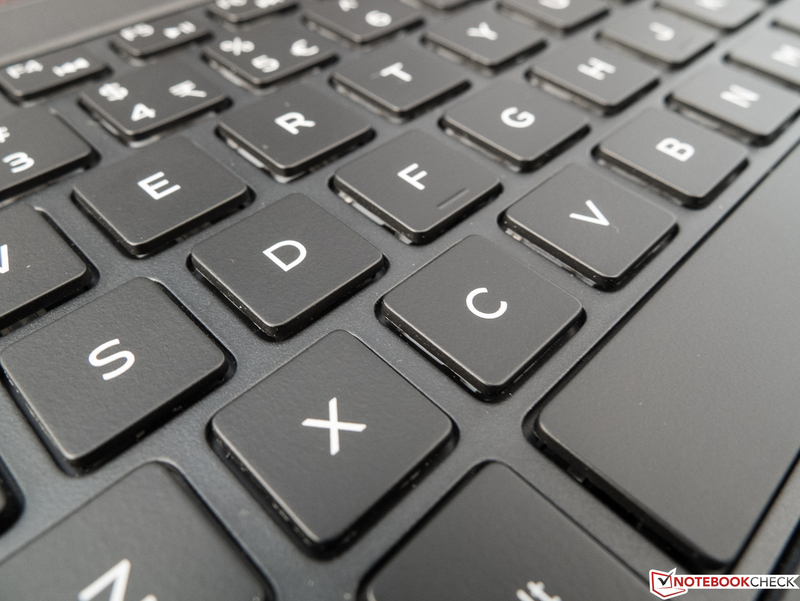 Connectivity - As far as connectivity is concerned, you will get the typical options that are found in most other laptops. There are three USB 3.0 ports available at your disposal to hook up a mouse, printer, or smartphone. If you need a bigger screen, you can hook the laptop up to a larger monitor, and it will support HDTV. All you need to do is plug it into the HDMI output from the laptop into the monitor. Additionally, the laptop comes with the Intel Dual-Band Wireless-AC, Ethernet port, Bluetooth 4.0 and front facing camera built inside. There isn’t an optical drive included with the laptop, like most other modern laptops. If you would like to, you can also use the laptop’s SD/MMC card reader to read your memory cards. The front facing webcam, above the display with a resolution of 720p is ideal for video calls with friends and family. The conveniently sized touchpad of the Inspiron 7559 is implemented as a ClickPad without dedicated mouse buttons. It has good response and precision. Even quick swipe gestures and drag-&-drop were executed well with no problem. The same goes for the keyboard, which gives an overall good typing experience. The keyboard on the laptop lights up, so you know where your fingers are sitting at all times. It’s perfect for making sure you hit the right button every time you’re playing games or while typing. Battery Life - The battery life on the laptop is rated to last around 10 hours. However, in a real world situation it will last around 5-6 hours during general web browsing and executing basic tasks. As expected, it will be significantly less when playing processor intensive games. 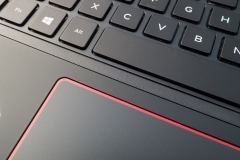 When you’re comparing this laptop against other gaming laptops, it’s important to consider the price value. 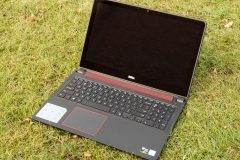 The Dell Inspiron 15, 7559 offers great value as compared to other gaming laptops. While it does have a lot of impressive features, and can withstand the demand that gamers insists on, it may not be a viable option for avid gamers. If you’re looking for a laptop that can handle strenuous amount of gaming, the ASUS ROG GL502VT-DS74 may be more up your alley. It has stable computing power that allows you to play games effortlessly and without much lag. 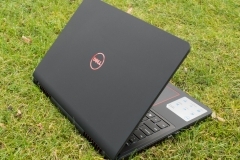 It may be better for more experienced and avid gamers than the Dell Inspiron 7559. But it comes at a higher price. 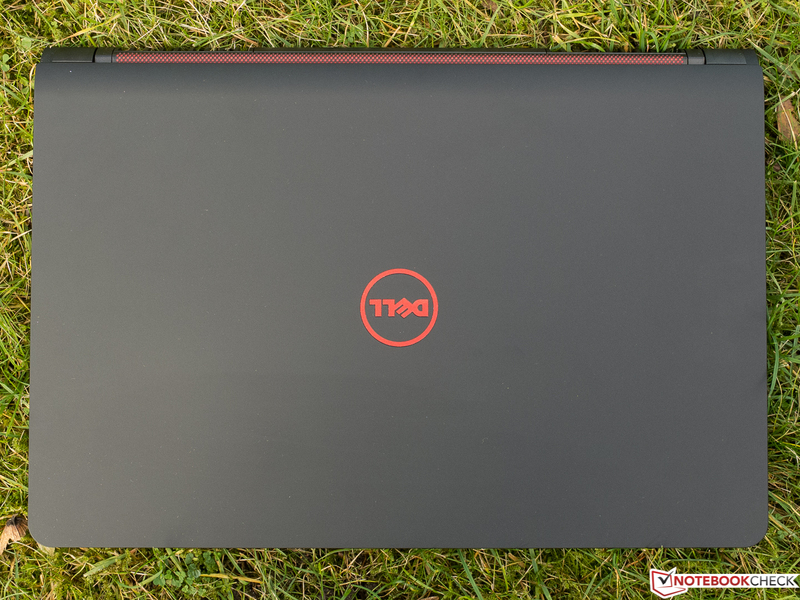 Overall, the Dell Inspiron 15, 7559 series (Dell Inspiron i7559-2512BLK) is a decent laptop for anyone looking for a gaming laptop on a tight budget. It has more than enough processing power for common tasks and executing intensive tasks such as HD video editing and 3D rendering. Even heavily parallelized games will benefit from the four physical cores offered by the processor. The laptop uses a hybrid-HDD as it’s main storage, which is a bit faster than most standard HDDs. The large display supports Full HD resolution, and thanks to the NVIDIA GeForce GTX 960M card, it is able to keep up with the latest games. It can reach 50 fps with specific games, which is ideal for casual gaming. While it may not be suitable for avid gamers, it does have a lot to offer anyone wanting to get into gaming. It’s the perfect all round laptop for starting out, and you can always upgrade it in the future. Also, you won’t break the bank when purchasing this laptop, which is always an important factor in any decision you make.